The best things to do and see in Minnesota! 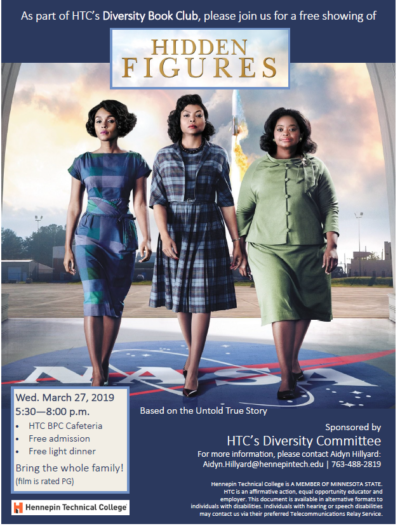 As part of HTC’s Diversity Book Club, the whole family can come to enjoy a free light dinner and a free showing of Hidden Figures on Wednesday, March 27th from 5:30 – 8 pm at the HTC Brooklyn Park Campus cafeteria. The movie is rated PG. While the event is free and open to the public, they do ask that you RSVP in advance.